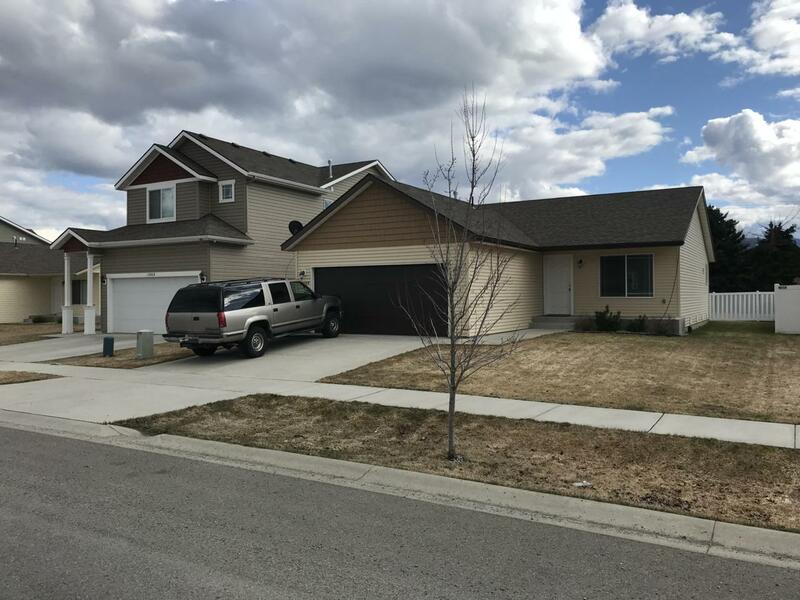 This almost-new home is located in the Crown Pointe neighborhood off of Prairie and Chase Road in Post Falls, ID. 1155 square feet of living space with carpet throughout and open concept living space with vaulted ceiling in the living room. 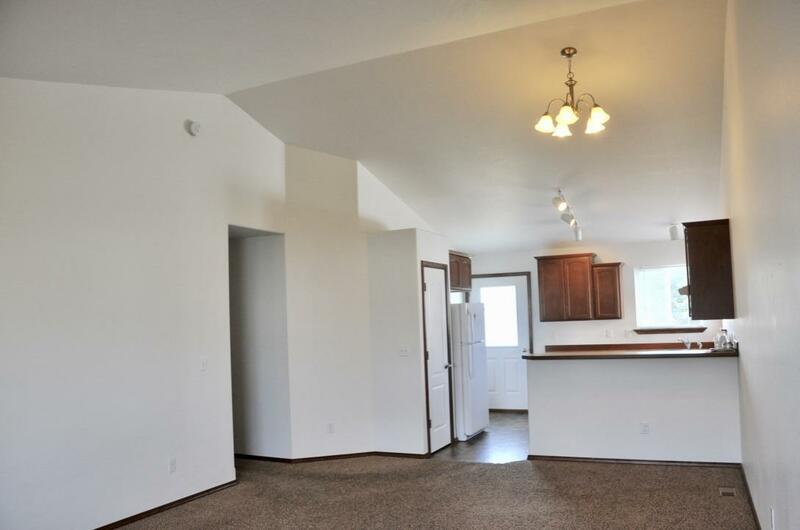 3 bedrooms and 2 full bathrooms, washer/dryer hookups, 2 car garage. Backyard has vinyl fencing on three sides with sprinkler system in both front and back yards. Master bedroom has an en-suite bathroom and walk-in closet. 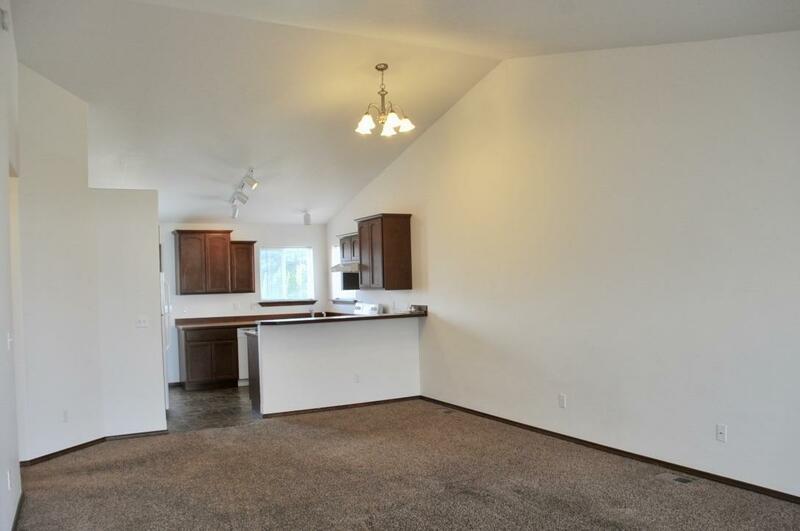 Kitchen has electric range, dishwasher, garbage disposal with window overlooking back yard. 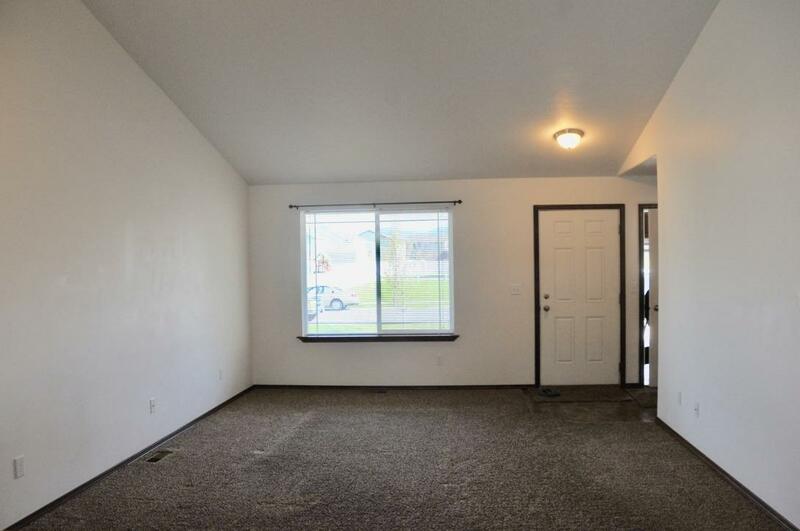 This home is bright and full of light, well maintained, in great shape! When built, it was upgraded with plywood under all linoleum surfaces. All window blinds included. Home has a 30-year roof. There is even a little park right across thestreet.